This topic contains 5 replies, has 2 voices, and was last updated by Grace Themes 11 months ago. Hi, first of all, thanks for this wonderful theme. I was able to set up the homepage for the theme however the title or the text of the page “Home” is still showing on the homepage, along with the widgets. How do I disable them on the homepage? Unfortunately, Appearance->Theme Option is no longer present on the dashboard, I think it has been replaced by the customize feature. I can’t find any Restore Defaults. 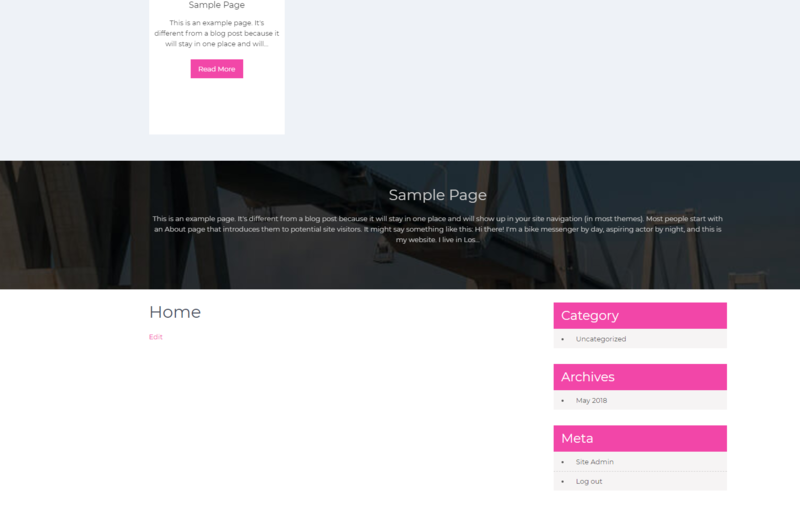 I am using the Free Version of the theme, when I create the homepage, all the components are working fine, slider, boxes etc… except for the widgets and the title and the content of the page are showing in the homepage. Please let me know if there’s any workaround, thanks in advance. As you are using Prevalent Free WordPress theme, which is build in WordPress customizer whereas the Prevalent PRO theme is built in more user friendly Theme Options panel. The PRO version contains lots of sections in home page for creating beautiful and professional website. In free theme,the homepage displayed with right sidebar widgets. Their is no way to show it in full width without sidebar. I got it now, I mean the limitation in the free version. Quite frustrating to be honest, because it took me hours trying to figure out the theme and believing that it would work great on the website I’m doing for a friend (it’s not a paid project, by the way, just doing a favor). But I understand the business side of it. Could have been great without that page content display on the homepage. We can display static selected homepage in full width without right side. For this we will need to change some code in themes’ file. Please share your website URL and WordPress admin login details for temporary at support@gracethemes.com so we can make this changes on your website.